Looking to get started with an easy and affordable exercise plan? Don't overlook walking. 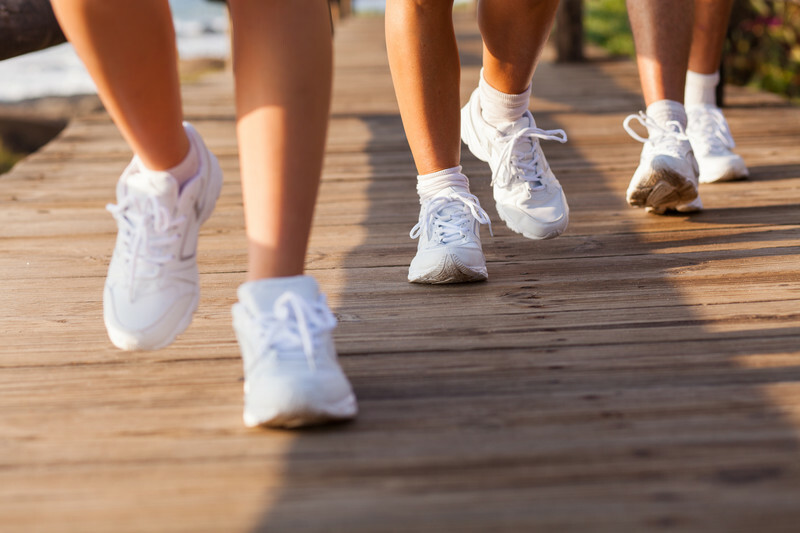 Walking is usually safe for people of any age or level of fitness and can easily be adjusted to a comfortable speed. It doesn't jar joints or raise your heart rate to dangerous levels. For a greater challenge, you can add time, distance, or hills — or try incorporating higher-intensity intervals or resistance bands. 1. Find a safe place to walk. Quiet streets with sidewalks, park trails, athletic tracks at local schools, or shopping malls are often good choices. 2. Buy a good pair of shoes. Look for supportive but flexible soles that cushion your feet. Comfort is the key when buying shoes for walking. Shop at the end of the day, when your feet are at their largest size. Choose shoes with "breathable" uppers, such as nylon mesh. 3. Dress for comfort and safety. Wear lighter clothes than you'd need if standing still. Dress in layers so you can peel off garments if you get hot. Light-colored clothes and a reflective vest help drivers notice you. 4. Do a five-minute warm-up and cool-down. Start off at a slower pace for your warm-up. At the end of your walk, slow down to cool down (even if you're not sweaty). Walk at a brisk, steady pace. Slow down if you're too breathless to carry on a conversation. Hold your head up so your chin is level and look 10 to 20 feet in front of you. Let your arms swing loosely at your sides. If you want to boost your speed, bend your elbows at 90-degree angles and swing your hands from waist height to chest height. Take comfortable strides. To go faster, take quicker steps instead of longer ones. To read about all the benefits of exercise as well as ways to begin an exercise program, buy Starting to Exercise, a Special Health Report from Harvard Medical School.